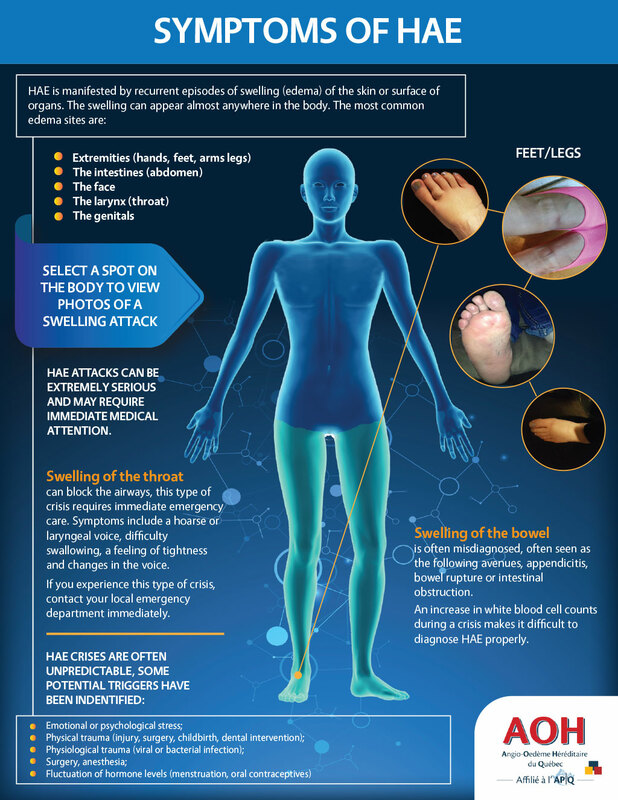 Hereditary angioedema (HAE) attacks can occur suddenly without warning. 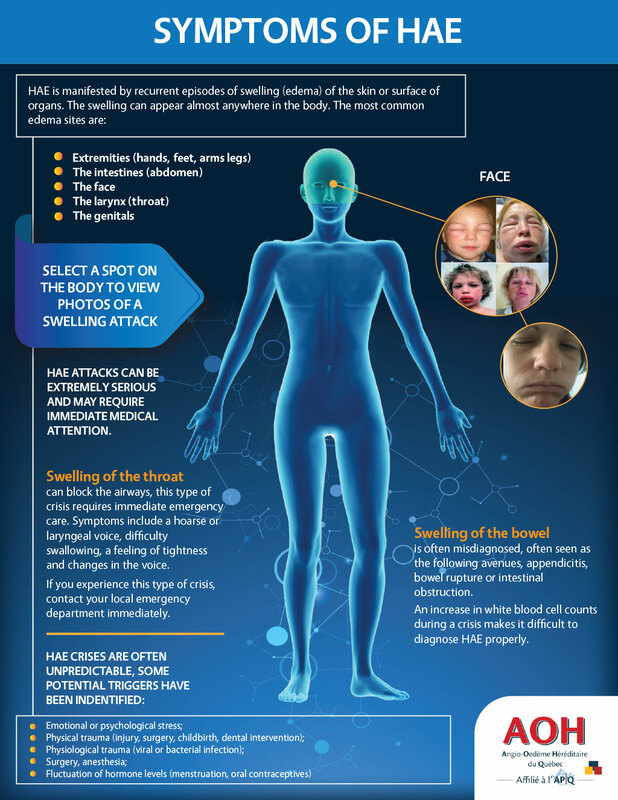 However, many people with HAE notice symptoms early in a crisis. 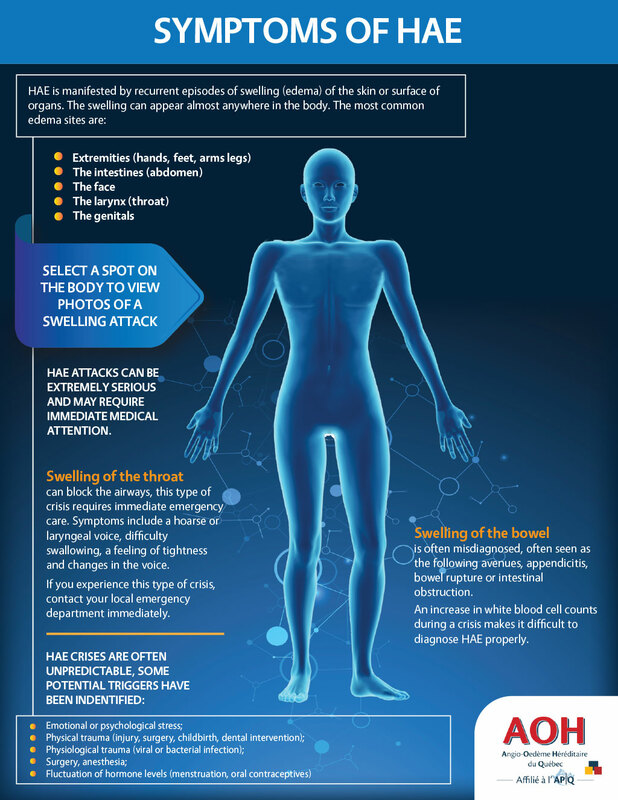 These symptoms are called warning signs or prodromal symptoms. 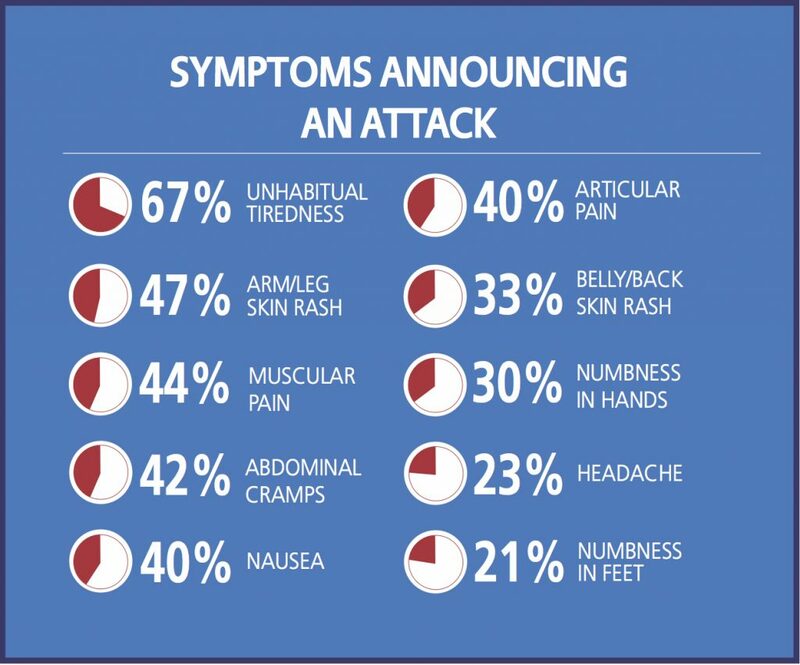 Some of the warning signs reported by patients are: sudden changes in mood, rash, irritability, aggressiveness, anxiety, severe fatigue, or tingling sensation on the skin where the swelling will begin to manifest and also pain. 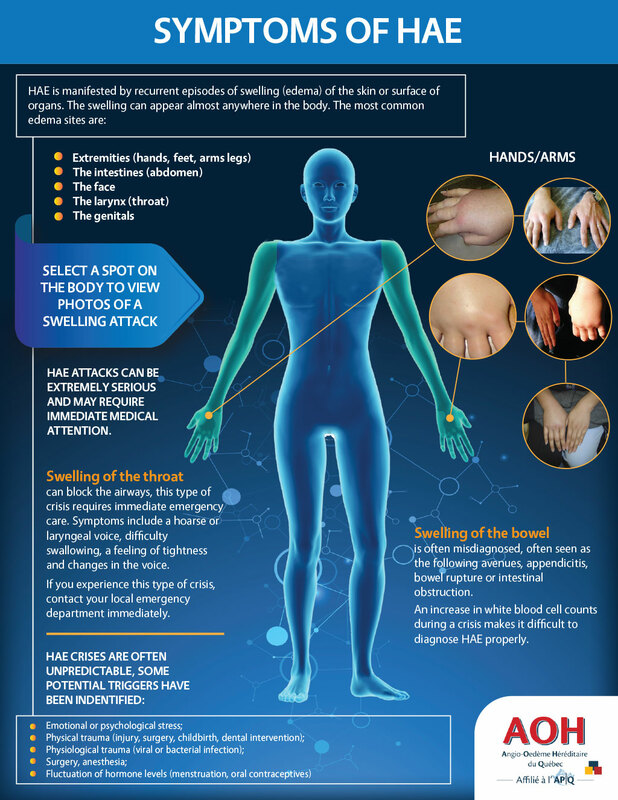 Some people with HAE will notice these symptoms a few minutes or hours before an attack, while others may feel it a day or two before the outbreak of a major crisis. 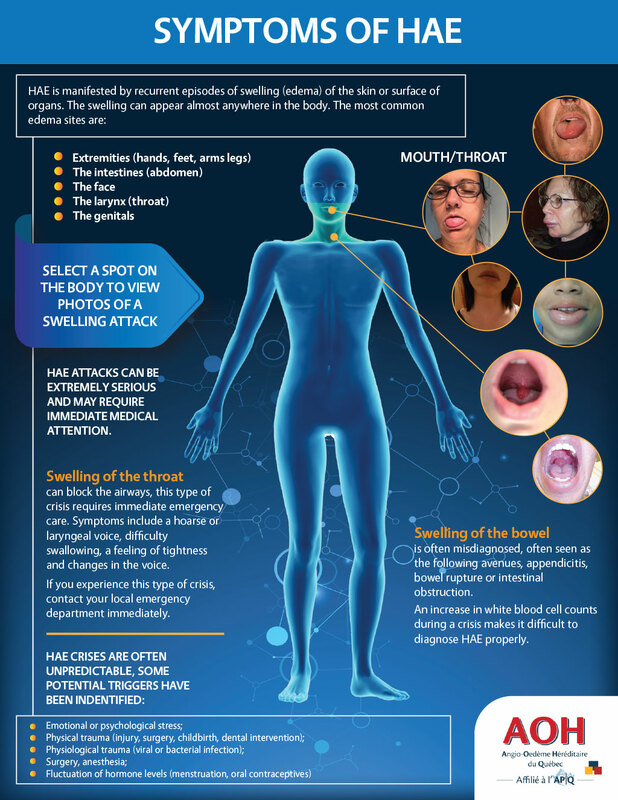 Swelling of the throat may block the airways; this type of crisis requires immediate emergency care. Symptoms include: a hoarse or laryngeal voice, difficulty swallowing, a feeling of tightness and changes in the voice. If you experience this type of crisis, contact your local emergency department immediately. Swelling of the bowel can cause severe abdominal pain, such as colic, which can develop and cause vomiting and diarrhea. The intestinal swelling is often misdiagnosed, it often sees the following avenues: appendicitis, rupture of the intestine or intestinal obstruction. An increase in white blood cell counts during a seizure makes it difficult to diagnose HAE properly.